The pea coat, which origins from the Navy, is a stylish option worn by countless men over the years. It works really well for both winter and fall, as you can add or remove layers underneath it. On colder days, add a nice knitted sweater under the jacket and when it’s getting warmer, wear a shirt with a thinner sweater. The pea coat comes in different colors and styling possibilities; though it’s the “same coat” the options on how to customize, and wear it, are almost endless. Remember, the pea coat should be the outest layer of your outfit; the only pieces that should ever be over a pea coat are carefully selected accessories. However, the ultimate way to wear this coat is to keep all layers and garments (including scarves) underneath it. 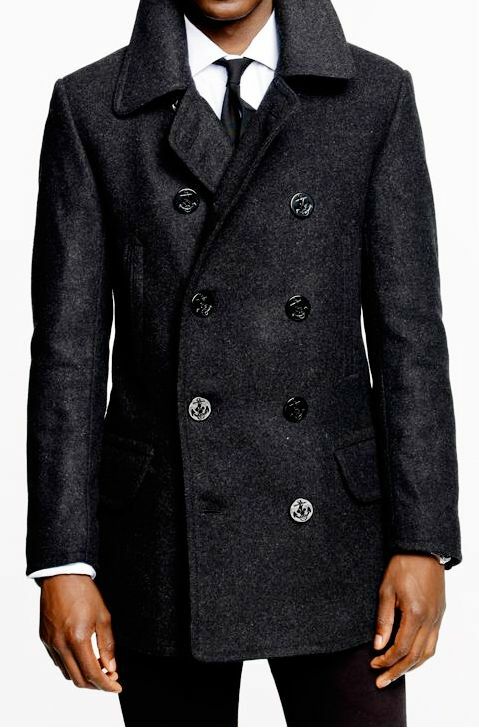 If you wish to follow the proper pea coat style rules, look at the jacket above: To have the original, iconic look, the buttons should be closed, and the length of the jacket should “hit” at the bottom of the hips. 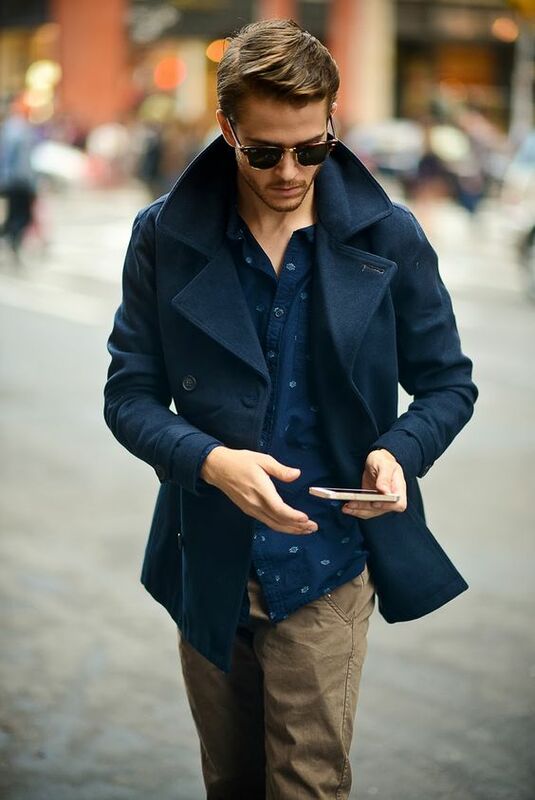 Don’t wear a pea coat that’s too long as it will lose the sense of figure-shaping/defining. Also stay away from wearing pea coats that are too short as these will make you look “rounder” than what you are. Get this black pea coat. 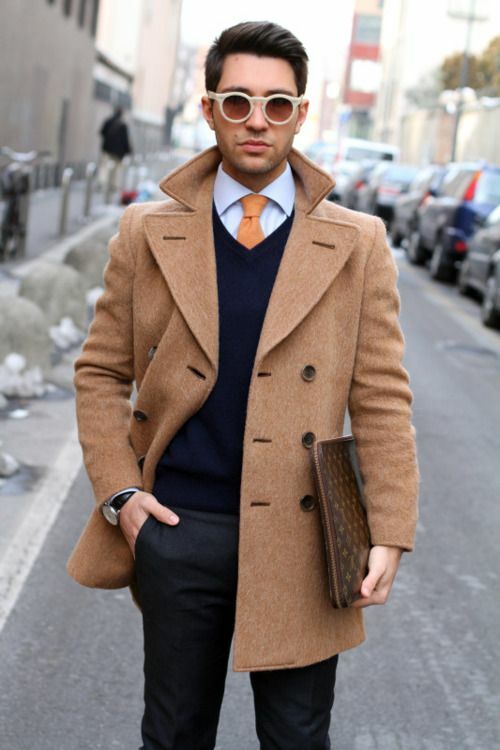 As we’ve seen in this post, the pea coats come in many different colors and looks. 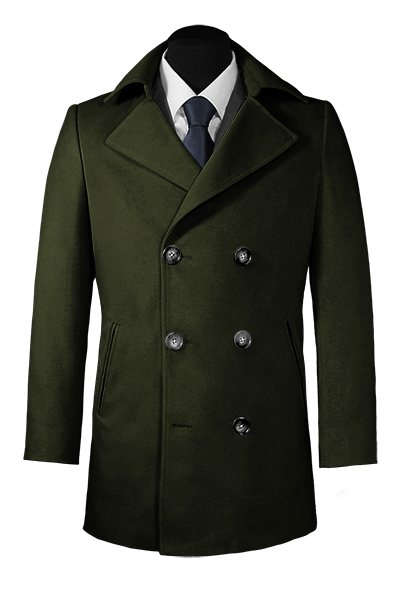 Don’t forget to choose the style and color of the pea coat the way you want it. Notice the details of the grey Hockerty pea coat above: it has patched pockets and tape sleeves. Details like this are possible when you have the coat made-to-measure, and you yourself choose what details you want to add to your coat. These two Talilor4less Pea Coats are excellent examples on how different styles you can have, with one coat! Not only are the colors different but look at the details; The green pea coat one has diagonal zipper pockets and no belt. Whereas the purple pea coat has double welt pockets and a belt between the button rows. Same type of coat; two different styles. Now it’s up to you! 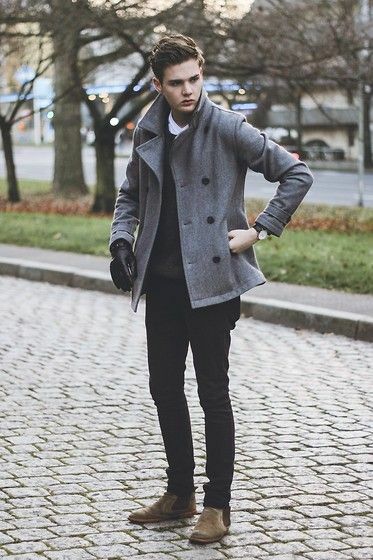 How will you style your pea coat?